Getting kids to eat green foods — ogre-colored Shrek Go-Gurt notwithstanding — takes patience, persistence, and good modeling. Sure, it helps to get them involved with gardening, harvesting, and cooking vegetables. But in the meantime, if you don’t want to go Jessica Seinfeld-stealthy, try these kid-friendly green veggies to jumpstart your wee one’s enthusiasm. #(clear n1). Kale chips. Snack chips? Made from kale? You bet, and kids love them. They’re packed with nutrition, and they’re blissfully simple to prepare — you just need some trimmed kale leaves, olive oil, and kosher sea salt. Skeptical? During a recent University of Wisconsin extension project, 201 elementary-school students made kale chips. Prior to the study, almost none of the kids had ever even heard of kale. Yet half of them liked the kale chips on the very first try — not bad for a strange new green leaf. #(clear n2). Edamame. These green soybeans, a traditional staple in Asia, are full of vitamins and minerals. They also contain all nine amino acids and are the only vegetable offering a complete protein. But kids don’t care about that; they like the fact that they can use their fingers to pop the beans out of their fuzzy pods. Once your kids have mastered shooting beans across the room, you can work up to other dishes, like yummy edamame potato tortillas. Although edamame aren't difficult to grow, they're only beginning to appear at U.S. farmers’ markets. You can find fresh edamame at some Whole Foods stores. Otherwise, look for it in the frozen section of a good grocery store. #(clear n3). Dinosaur trees. I’m talking about broccoli, of course, but please don’t tell my daughter. Many kids won’t eat broccoli, but they’ll be happy to act like a T-rex, diving into the tops of “trees” with abandon. If you’re over the age of six it seems corny, but researchers have seen it work. While some kids prefer their veggies raw, others like them best stir-fried, or steamed and topped with butter. Or try your hand at Wizard of Oz mashed potatoes or Twice-Baked Potatoes with Broccoli and Cheddar Cheese. #(clear n4). [%image reference-image float=right width=400 caption="Fresh peas are nice, but frozen peas are more fun."] Frozen peas. Still frozen. Your child might not get excited about cooked peas, but still-frozen peas are a different thing altogether. 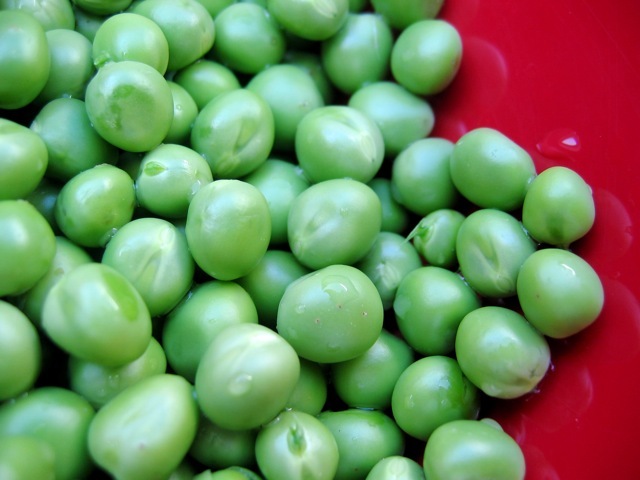 Whether it’s the icy-cold sensation or the sense that they’re getting away with some kind of mischief, plenty of veggie-phobic kids consider frozen peas a treat. The best part? There’s not a stitch of work involved; just open the bag, pour a handful of peas directly into a bowl, and let 'em at it. And during the summer, most kids will eat peas right off the vine, if you are so lucky as to have such a plant in your backyard. Which brings me to . . .
#(clear n6). Zucchini fritters. Inexpensive, mild in flavor, and easy to grow, zucchini are a great year-round veggie staple. In the height of summer, they're so plentiful that you may even find your neighbors have sneaked some onto your porch in the middle of the night. Sure, you can make zucchini muffins or even a mock-apple pie with them. But why not ditch the sugar and try zucchini fritters instead? There are endless variations, but they all involve a few key ingredients: shredded zucchini, egg, flour, cheese, herbs, salt and pepper, and olive oil. #(clear n7). Artichokes. They might look like alien spaceships, but kids get to tear them apart, petal by petal, then dip them in melted butter, scrape the leaves on their teeth, and discard them in an ever-mounting pile. It’s all about carnage, really; by the end of the meal, your table will look like a massacre site. In the meantime, your kids will have enjoyed an antioxidant superfood. Not sure how to prepare one? Try this recipe, with or without the caper mayonnaise. #(clear n8). [%image dressing float=right width=400 caption="Give the kids homemade ranch dressing and they'll eat more veggies."] Anything with ranch dressing. It’s hardly sophisticated, but the fact is, kids will eat almost anything — even cardboard — if they can dip it in ranch dressing. Set out a plate of cucumber wedges, broccoli florets, red-pepper slices, carrots, and romaine leaves, then watch everything disappear, dipped in a bowl of dressing. From ranch dip, it’s not a huge leap to Caesar salads and then on to more sophisticated fare. 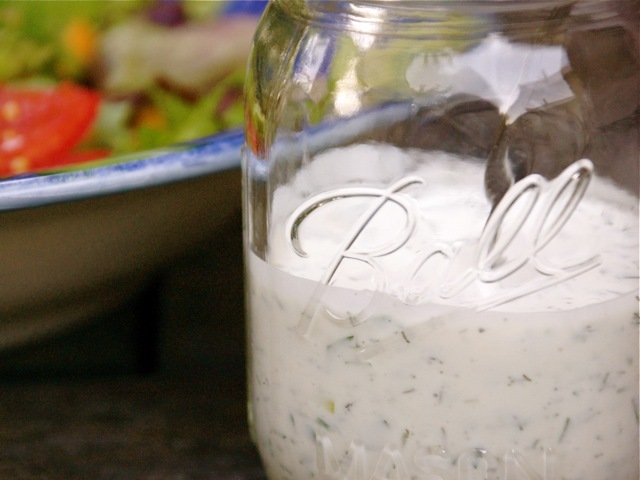 Unfortunately, many brands of ranch dressing are packed with MSG, high-fructose corn syrup, and preservatives. Choose a natural alternative, such as  Annie’s Cowgirl Ranch or Drew’s Natural Buttermilk Ranch. Better yet, make your own. p(bio). Alison Benjamin cooks and eats in southwestern Vermont. She blogs at the Cleaner Plate Club.